Osijek’s Business Incubator BIOS was a host for Inchoo’s Go Responsive workshop, which had Responsive Web Design as a theme. Responsive Web Design is web design and development approach aimed at crafting sites to provide an optimal page viewing experience across a wide range of devices and resolutions. Today, users view pages on mobile phones, desktop computer monitors, tablets and various devices, so we feel obligated to give them the best user experience we can. Whole-day workshop gathered 20 participants who had previous knowledge of Responsive Web Design and are aware that today’s users access content from mobile phones, desktop computer monitors, tablets and various devices, so they, as developers, need to respond to that challenge. Netgen, Betaware, Mono, Gauss, Farmeron, N-lab, Kolektiva, Proodos, Anctu and Adcon decided to send their developers to pleasant working atmosphere of Go Responsive workshop in order to expand knowledge and stay in the loop with web trends. Hrvoje Jurisic, a certified Magento frontend developer was in the role of the teacher. This was his first workshop as lecturer and we must say that participants were pleased with him. At Inchoo, Hrvoje is working as frontend developer, designer and illustrator. Do you know our comic The Inchooers? Well, he is the author. Working on some of Inchoos biggest projects, like Kolektiva, aescripts.com and OzMattress, Hrvoje polished his experience. Not just talking about theory, but giving examples and problems from practice, Hrvoje taught attendees about the processes and techniques of RWD, “Mobile First” approach, how to get fluid layout, access to responsive images, tables or navigation and triggered a debate about future of web design. 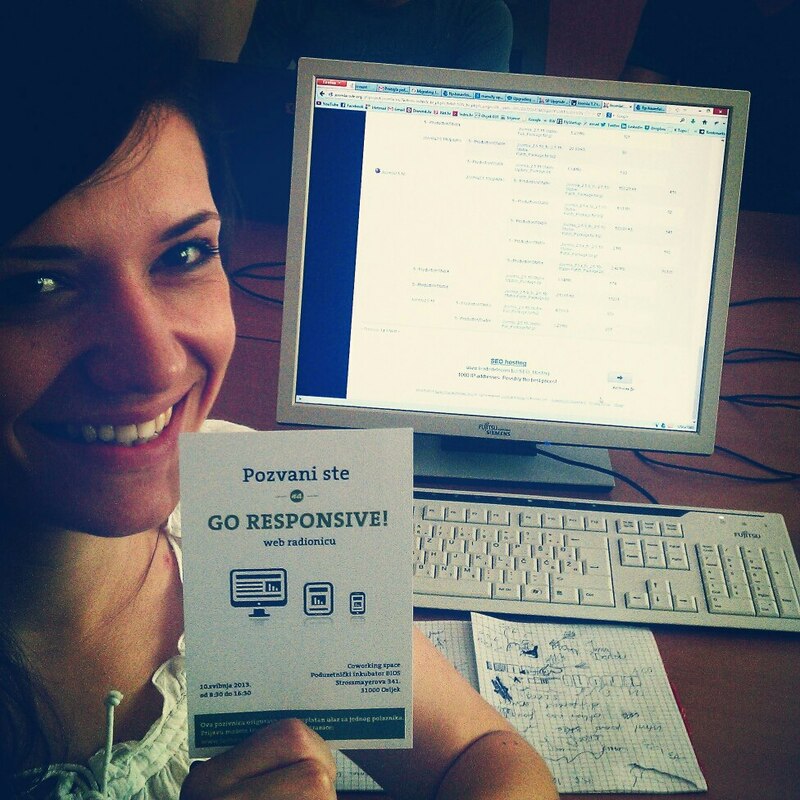 Hrvoje, Go Responsive is the first workshop you’ve experienced from a lecturers view. Tell us, how does it feel to be a lecturer and not an attendant? Good. I like the feeling of sharing the knowledge and positive energy that is generated around this kind of gatherings. I remember some of the workshops, where I was a student, and the inspiration and positive energy with which I left from those workshops. That enthusiasm kept me inspired for weeks. I hope Go Responsive workshop had the similar effect on at least one participant. How did you decide to have a workshop about Responsive Web Design? RWD is something that will mark the next few years on the web. This is something in which I believe and I’m a huge upholder of RWD. It currently has a “buzz”, this is what developers and clients are interested in. What have you set as the key takeaway from the workshop for the participants? I wanted them to understand the importance of RWD and not to do it because it’s fashionable. Then we focused on workflow, because things have changed radically with the appearance of RWD. And at the end, it was important to understand techniques in RWD so we went through HTML and CSS. Are you satisfied how the workshop went? What would you do differently if you could re-do the workshop? I’m pleased. As far as I could gather from the feedback, the participants were satisfied as well, and that’s what’s most important. And if I can do better? I can. It can always be better. 🙂 Now re-doing the same workshop, I wouldn‘t change much. Maybe just allocate time little differently to give some units more spotlight. What do you think, what is the future of Responsive Web Design? RWD is here to stay. It will soon be a standard in web design and we will not be talking about it like some kind of special type web development. Just to be clear, I don’t think of RWD as the universal solution, it all depends from project to project. But, it’s probably the best solution for most projects. 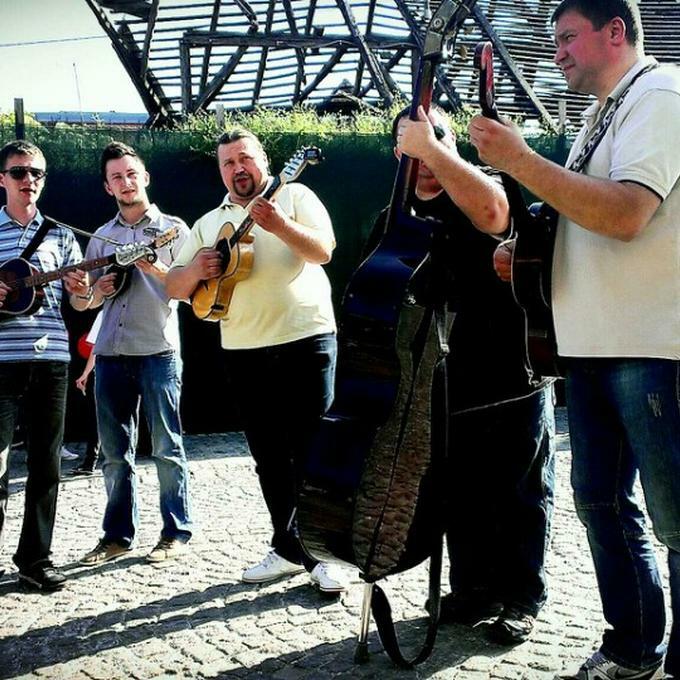 After the workshop, the participants gathered for a drink in old part of Osijek called Tvrda (Fortress). Some of them weren’t from Osijek so it was a good opportunity to see the city, and they weren’t disappointed. Fascinated by the tranquility and greenery, they understood what we talked about relaxation in work and life in Osijek, unlike their more urban areas, like Croatia capital city. It was a hot day, but the drinks were cold and the band was playing, while no mosquitos were there to ruin the atmosphere. Inchoo wanted to impart knowledge trough a new channel- a workshop, and we got feedback from attendants that we succeeded in that. Responsive Web Design is a hot topic in the world of web and we are pleased that Go Responsive workshop is recognized as a good blend of theory and practice. Tell us, how do you see Responsive Web Design in the future? Awesome! First workshop for Hrvoje and first english blog post for Maja. Let’s continue to play on both fronts in the future. Btw. are there any of you English speakers from nearby countries who might be interested to come to Croatia for similar workshops?